John F. Manning, the Bruce Bromley Professor of Law and deputy dean at Harvard Law School (HLS), an eminent public-law scholar with expertise in statutory interpretation and structural constitutional law, will become the School’s next dean on July 1. “I feel honored and grateful to President Faust for the opportunity to lead Harvard Law School as we enter our third century,” said Manning. “And I feel privileged to work alongside our exceptional students, staff, faculty, and alumni, whose invaluable contributions to legal scholarship, education, and practice inspire me every day. 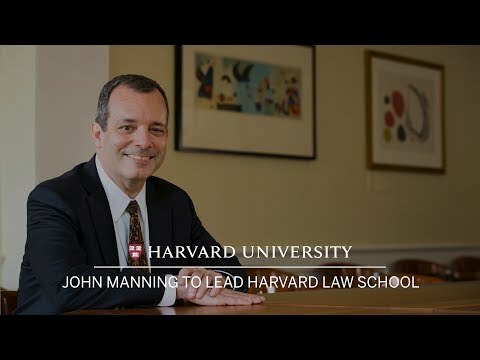 A graduate of both Harvard College and Harvard Law School, Manning has been on the HLS faculty since 2004, following a decade at Columbia Law School. In her letter to the HLS community announcing his appointment, Faust called Manning “a greatly admired teacher and mentor,” while noting his strong ties to public service and practice, including two stints in the U.S. Department of Justice as an attorney in the Office of Legal Counsel and the Office of the Solicitor General. Faust also noted Manning’s service as a “University citizen,” highlighting his role as a member of the University-wide Task Force on Inclusion and Belonging, and as a member of both the HarvardX faculty committee and the Vice Provost for Advances in Learning’s faculty advisory committee. A prolific and influential scholar, Manning has published more than 40 articles in a range of leading law journals. He is co-editor of two leading casebooks, “Hart and Wechsler’s Federal Courts and the Federal System” and “Legislation and Regulation.” A past chair of the HLS committee on lateral faculty appointments, he teaches courses on administrative law, federal courts, legislation and regulation, separation of powers, and statutory interpretation. 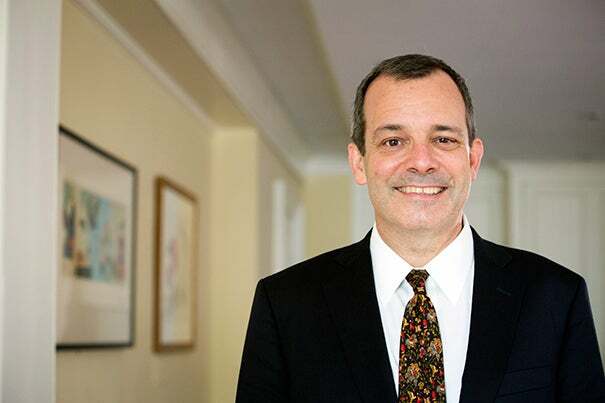 His honors include the ABA Section on Administrative and Regulatory Law’s Award for Scholarship in Administrative Law and Columbia Law School’s Willis Reese Prize for Excellence in Teaching, which he received two years in a row. He has argued nine cases before the U.S. Supreme Court. Early in his career, in addition to his service in the Justice Department, Manning was an associate in the Washington office of the law firm Gibson, Dunn & Crutcher. He served as a law clerk to both Associate Justice Antonin Scalia of the U.S. Supreme Court and Judge Robert H. Bork of the U.S. Court of Appeals for the D.C. Circuit. Susan M. Davies, former deputy counsel to the U.S. president and Story Senior Lecturer on Law at the School, cited Manning’s “tremendous intellect,” his scholarship that “has shaped the way we think about statutory and administrative law,” and his dedication to learning. “His agile mind and generous soul, combined with a puckish sense of humor and a genuine compassion for others, make him ideally suited to help guide the Law School as it begins its third century,” she wrote in an email. Henry N. Cobb ’47, M.Arch. ’49, Warren Masters Little ’55, and A. Clayton Spencer ’82 will receive the 2017 Harvard Medal for their outstanding service and devotion to the University.